The month to celebrate Mother`s Day and Easter & Spring, it is nearly here. We have a lovely selection of gifts for Mother`s Day; beautiful china by Catherine, toiletries from New Forest Aromatics and wonderful local jams and chutneys too. Look out for our Easter celebrations – sign up to receive our newsletter and get details first in your inbox! 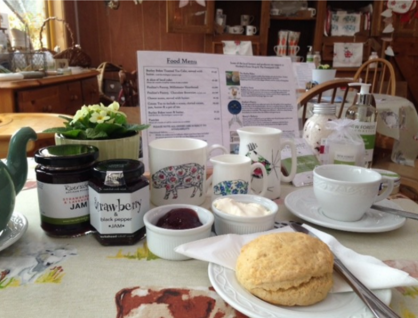 Why not enjoy a treat, a Cream Tea here at the farm, for Mother`s Day? £4.95 to include local clotted cream & scone and a pot of Dorset tea. Posted in Offers and tagged afternoon tea, gifts, Mother's day.